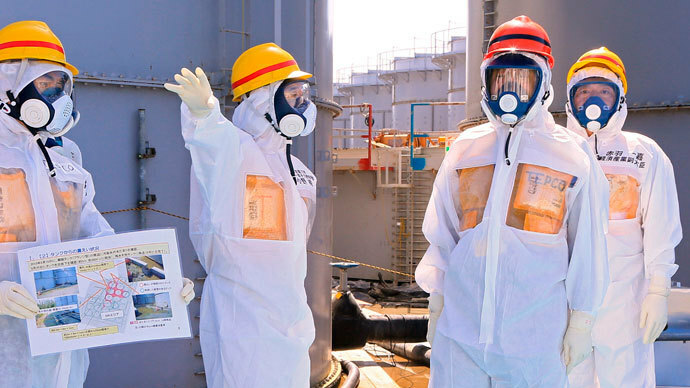 Fukushima operator TEPCO is getting ready for its toughest and the most dangerous clean-up operation. In November it will try to remove 400 tons of spent fuel from plant’s Reactor No. 4. But even a little mistake may result in a new nuclear disaster. The operation is scheduled to start in the beginning of November and be completed by around the end of 2014. Under normal circumstances, the operation to remove all the fuel would take about 100 days. TEPCO (Tokyo Electric Power Co) initially planned to take two years, but reduced the schedule to one year in recognition of the urgency, as even a minor earthquake could trigger an uncontrolled fuel leak. During this period TEPCO plans to carefully remove more than 1,300 used fuel rod assemblies, packing radiation 14,000 times the equivalent of the Hiroshima nuclear bomb, from their cooling pool. The base of the pool where the fuel assemblies are situated is 18 meters above ground and the rods are 7 meters under the surface of the water. 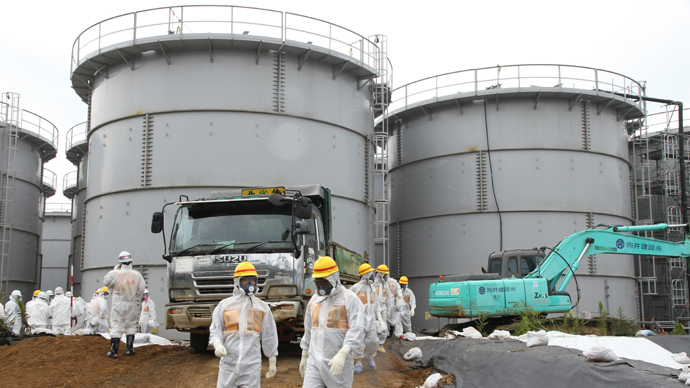 TEPCO’s first task is to remove the debris from the Reactor No. 4 fuel pool. Then, one by one, the fuel rods will be removed from the top store of the damaged building using a crane suspended above the crippled reactor. Previously a computer-controlled process, this time it has to be done completely manually. And this is what makes this removal operation extremely dangerous. The fuel rods must be kept submerged and must not touch each other or break. “The operation to begin removing fuel from such a severely damaged pool has never been attempted before. The rods are unwieldy and very heavy, each one weighing two-thirds of a ton,” fallout researcher Christina Consolo earlier told RT. Should the attempt fail, a mishandled rod could be exposed to air and catch fire, resulting in horrific quantities of radiation released into the atmosphere. The resulting radiation will be too great for the cooling pool to absorb as it simply has not been designed to do so. “The worst-case scenario could play out in death to billions of people. A true apocalypse,” Consolo said. Reactor No. 4 contains 10 times more Cesium-137 than Chernobyl did. This lets scientists warn that in case of another nuclear disaster, it will be the beginning of the ultimate catastrophe of the world and the planet. “It will be one of the worst, but most important jobs anyone has ever had to do. And even if executed flawlessly, there are still many things that could go wrong,” Consolo said. The World Nuclear Report, released in July 2013, said “the worst-case scenario” will require evacuation of up to 10 million people within a 250-kilometer radius of Fukushima, including a significant part of Tokyo. 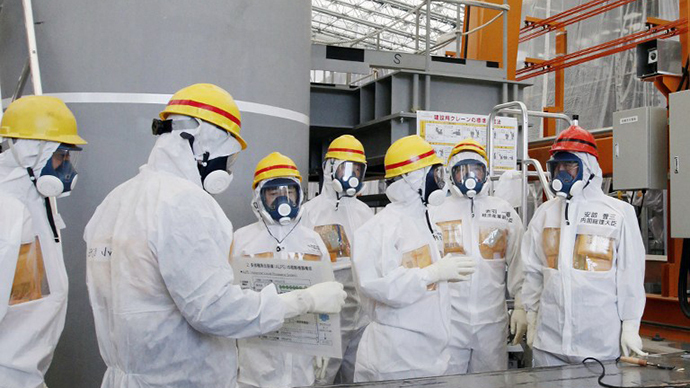 Although some experts are skeptical, TEPCO is confident the operation will be a success. Last year two fuel rods were successfully removed from the pool in a test operation, but back then rod assemblies were empty and posed a far smaller threat. The operation will be just one installment in the decommissioning process for the plant, and is forecast to take about 40 years and cost $11 billion. 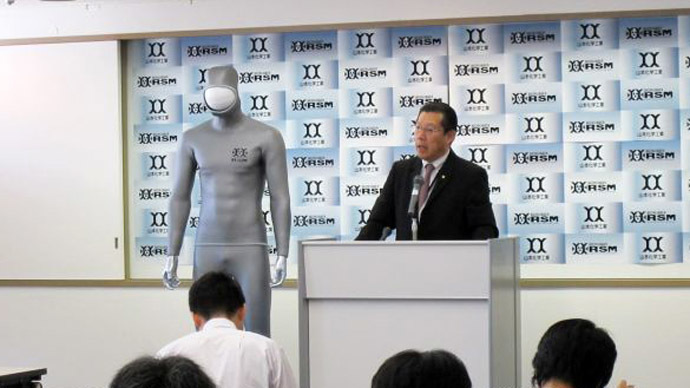 TEPCO, responsible for the clean-up, is struggling to cope with the aftermath of the nuclear disaster, but with the crisis over radiation-contaminated water at the plant, it has been criticized for its ad hoc response to the disaster. In August TEPCO pleaded for overseas help to contain the radioactive fallout, after 18 months of trying to control it internally. The Japanese government was also ordered to take a more active role in controlling the overflow of radioactive water being flushed over the melted reactors in Units 1, 2 and 3 at the plant. 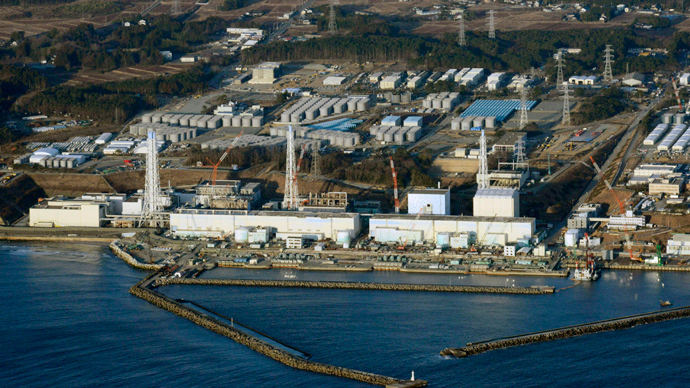 Three of the Fukushima plant’s nuclear reactors were damaged by an earthquake-triggered tsunami on March 11, 2011, which led to a nuclear disaster. The plant has been accumulating radioactive water ever since. The government imposed a 20-kilometer ‘no-go’ zone around the plant area.